Friday morning, summer ended. From my office window, I watched dark clouds blow in and with them came all autumn’s wet and windy glory, leaves swirling through the mist. I trudged through the garden after school, feet tingly wet, and with muddy fingers, pulled fallen cornstalks, bolted lettuce, and withered melon vines. I reminisced back to July and August, and even the day before, Thursday, when I was still picking blackberries, knowing all too soon, the weather would change. Blackberries. Blackberry picking. Our new apartment complex cozies up to the forest on this edge of town. Wild briers take over here, and to my delight, I have noshed on blackberries for weeks. While not many have found their way into a bucket for later, I’ve made it a mission to send summer off proper like with lemony-coconut cream blackberry bars. 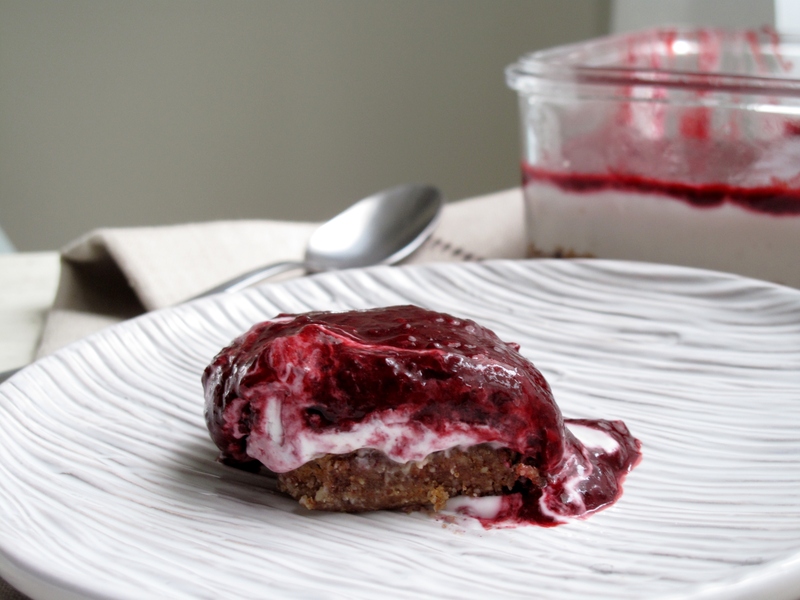 They just so happen to be raw, vegan, gluten-free, and super easy. Though the photos are a delicious mess, I’d still like to tell you about all the layers of goodness. Dates, nuts and spices make up the salty-sweet bottom layer, followed by fluffy coconut cream with a hint of lemon. 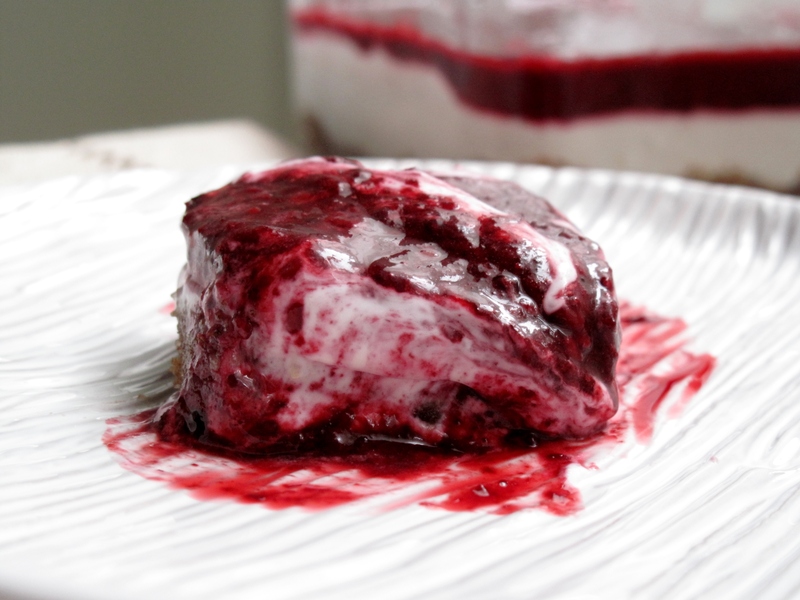 The topping, so simple and divine, is pureed berries mixed with a bit of chia seeds to help it set. If they fall apart coming out of the pan, that means you were like me and in being overly anxious to taste, weren’t patient. That’s fine. As is running to snag some frozen berries from the store if all the wild ones in your area are long gone. Relish the last day of summer with me before snuggling into that sweater and pumpkin spice latte. 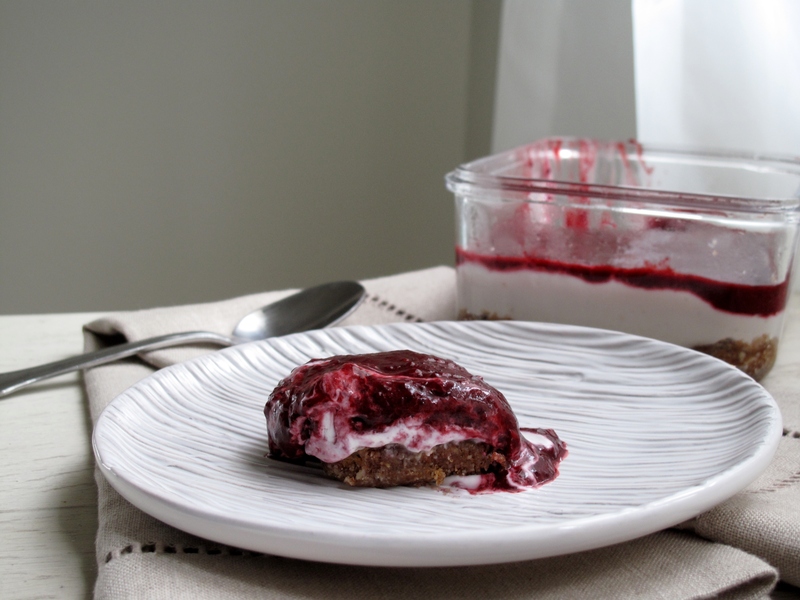 This recipe is part of September’s Recipe Redux challenge to create a healthy no-cook dessert. In a food processor, combine dates, nuts, cinnamon, oil and salt. Puree until finely chopped and the mixture sticks together when pinched with your fingers. Turn out into a square baking dish (I used a 6 x 8 glass container). Open the chilled coconut milk and without stirring, spoon out the cream layer into a medium bowl. With a fine mesh strainer, pour out the remainder of the can and keep all the cream that is in the top. Reserve the watery milk for another use. Whip the coconut cream along with the powdered sugar, lemon zest, and vanilla. Pour atop the nut layer. What a creative recipe! 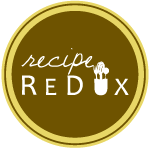 Totally love the coconut cream and chia as thickeners! I have summer blackberries in my freezer too! Thanks Serena! I think I’ll continue to make this on into the holiday season, even though it’s a summery dessert. The flavors are addicting!